Forests 2020 is a major investment by the UK Space Agency, as part of the International Partnerships Programme (IPP), to help protect and restore up to 300 million hectares of tropical forests by improving forest monitoring in six partner countries through advanced uses of satellite data. IPP is a five-year, £152 million programme designed to partner UK space expertise with overseas governments and organisations. It is funded from the Department for Business, Energy and Industrial Strategy’s (BEIS) Global Challenges Research Fund (GCRF). 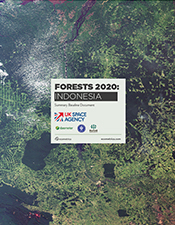 Project managed by Ecometrica, Forests 2020 will also bring together some of the UK’s leading experts on forest monitoring at the Universities of Edinburgh and Leicester, and Carbomap. The partner countries are Indonesia, Brazil, Colombia, Mexico, Ghana and Kenya. In each country we are working with national institutions, researchers and NGOs to improve forest monitoring at local, regional and national levels. 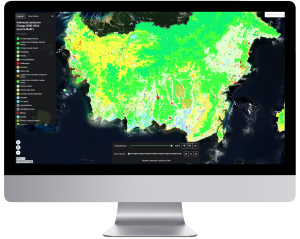 There are several ways in which monitoring systems can be improved, for example through faster, more accurate detection of forest change, better access to information by end-users and by combining the latest satellite data with useful contextual information. 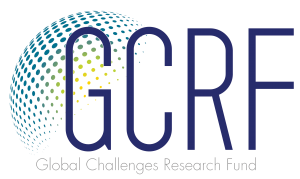 The Global Challenges Research Fund (GCRF) is a £1.5 billion fund which forms part of the UK Government’s Official Development Assistance (ODA) commitment and is overseen by the Department for Business, Energy and Industrial Strategy (BEIS), and delivered through 17 delivery partners including the Research Councils, the UK Academies, the UK Space Agency and funding bodies. It harnesses the expertise of the UK’s world-leading researchers, focusing on: funding challenge-led disciplinary and interdisciplinary research; strengthening capability for research, innovation and knowledge exchange; and providing an agile response to emergencies where there is an urgent research or on-the-ground need. Establish digital infrastructure to assist the processing of satellite data and derived information to the end users. Sentinel-1 carries an advanced radar instrument to provide an all-weather, day-and-night supply of imagery of Earth’s surface. The C-band Synthetic Aperture Radar (SAR) builds on ESA’s and Canada’s heritage SAR systems on ERS-1, ERS-2, Envisat and Radarsat. The Sentinel-1 mission images the entire Earth every six days. As well as transmitting data to a number of ground stations around the world for rapid dissemination, Sentinel-1 also carries a laser to transmit data to the geostationary European Data Relay System for continual data delivery. Sentinel-1A was launched on 3 April 2014 and Sentinel-1B on 25 April 2016. Both were taken into orbit on a Soyuz rocket from Europe’s Spaceport in French Guiana. The mission is based on a constellation of two identical satellites in the same orbit. Together they cover all Earth’s land surfaces, large islands, inland and coastal waters every five days at the equator. The mission mainly provides information for agricultural and forestry practices and for helping manage food security. Satellite images can be used to determine various plant indices such as leaf area chlorophyll and water content indexes. This is particularly important for effective yield prediction and applications related to Earth’s vegetation. 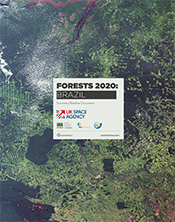 As well as monitoring plant growth, Sentinel-2 can be used to map changes in land cover and to monitor the world’s forests. It also provides information on pollution in lakes and coastal waters. Images of floods, volcanic eruptions and landslides contribute to disaster mapping and help humanitarian relief efforts. We will work with national forest authorities and stakeholders to ensure the improvements remain viable over the long term. UK National Centre for Earth Observation (NCEO). NCEO brings together much of the UK’s renowned EO expertise and research capability. 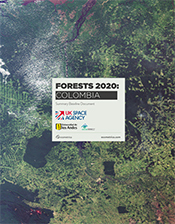 The UK is a global leader in the science of forests’ role in global climate change. Within the NCEO framework, this project comprises teams at: The University of Edinburgh (UoE) School of Geosciences, the largest group of geoscientists in the UK with a concentration of expertise in remote sensing technology and applications, and in forest measurements, monitoring and modelling, and The University of Leicester (UoL) with expertise in Space Research and EO which has led to a variety of training, research and applications. UoL uses satellite data to study key challenges such as climate change and how to develop new technologies for the future, carrying out research into the design and exploitation of increasingly sophisticated sensors that are now available. 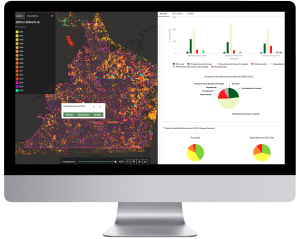 Carbomap is a UK based specialist forest survey and mapping company working to support sustainable forest management. The team, led by Professor Iain Woodhouse, have international reputations in remote sensing methodologies, satellite radar mapping, forest structure mapping, carbon sequestration and airborne survey. INPE, linked to the Ministry of Science, Technology and Innovation in Brazil, aims to provide science and technology in space and the terrestrial environments, and offer innovative products and services in benefit of Brazil. The responsibility of the EO area is to develop the scientific and technological knowledge in remote sensing and digital image processing. IPAM is an independent nonprofit research institute, with a current staff of 105 people distributed across eight offices in the Amazon and Cerrado Biomes. For the past 21 years IPAM has been working with basic and collaborative research to understand the ecological limits of land use/cover and climate change to Amazon forest ecosystems, as well as assessing the impacts of public policies on deforestation and forest degradation in these areas. KeyAssociados’ ESG & Sustainability unit is responsible for helping clients integrate Environmental, Social and Corporate Governance (ESG) management into their business strategies, products and services in Brazil. It is a well connected organisation in Brazil, working closely with private, public and civil society organisations. 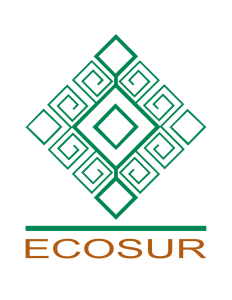 ECOSUR is a multidisciplinary research centre in Mexico, with a staff of approximately 250 researchers and offices in all states of the southern border of Mexico, and one of the leading research centres in this region. The Laboratorio de Análisis Geográfico (LAIGE) of ECOSUR is a department whose line of interest is the study of forest resources using geographic information systems and remote sensing tools; some of the topics studied include deforestation and CO2 emissions, drivers of land use change, biodiversity and ecosystem services loss. Pronatura Sur is a Mexican NGO recognised for its contribution to the conservation of areas of high ecological value in the south of Mexico. For the past 10 years, Pronatura Sur has focused on Chiapas’ forest sectors, developing methodologies, supporting communities and improving the value chain. Pronatura Sur has significant experience in capacity building on REDD+ and related topics for mid-level governmental and private sector decision makers. 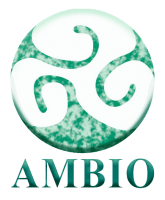 Ambio is a Mexican NGO which aims to promote rural development from the participation of communities, with emphasis on local improvement, recognising local interests and particular needs. Ambio has strong links with government agencies, NGOs, academia and the communities where they have been working for over 10 years, and was part of the Technical Advisory Committee of the Mexico-Norway Initiative , participating actively in both the National REDD+ strategy and the State REDD+ strategy for Chiapas. 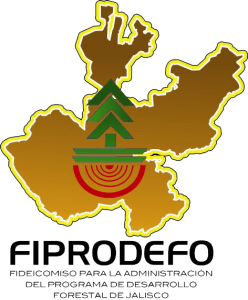 FIPRODEFO is an autonomous government institution, which serves as the technical and operational body on issues of relevance in the state of Jalisco’s forests. Forest branches of work include: geomatics and information systems; forest genetic improvement; forest health; sustainable forest management; and commercial forest plantations. Since its establishment in 1998, the trust has served as a specialised institution operating in forestry issues. IDEAM is a governmental institution ascribed to the Colombian Ministry of the Environment and Sustainable Development which is in charge of producing and managing the scientific and technical information on the environment. IDEAM generates knowledge, produces reliable, consistent and timely information on the status and dynamics of natural resources and the environment, to facilitate the definition and setting of environmental policies and decision-making by the public, private and the public sectors in general. Universidad de los Andes.The COMIT research group of the System and Computing Department of Universidad de los Andes (UniAndes) has been leading the Colombian Data Cube project for more than a year at IDEAM. 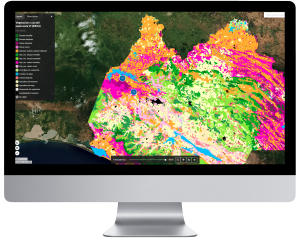 The main objective of the project is the implementation of a data cube for Colombia, and aims to store all Landsat imagery for the country since 2000 and provide a standard repository for this information. Bogor Agricultural University (IPB) is one of the leading universities in Indonesia that focuses on agriculture and forestry. IPB has conducted various studies related to food security and environments, including agriculture, forestry, and climate. IPB has worked collaboratively with various public and private agencies including the National Aeronautics and Space Agency (LAPAN) that has been initiated since 2010. This alliance has been created to carry out satellite technology development in order to support food security and environmental monitoring. PT Hatfield Indonesia is a pioneer in the field of environmental services in Indonesia, providing a strong local presence and a team of local and international multi-disciplinary specialists built up over more than 25 years of regional experience. 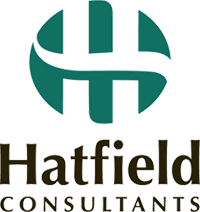 Hatfield has an excellent understanding of forest monitoring policies and development in Indonesia, particularly REDD+ MRV programmes, having previously conducted project work for the UN-REDD / REDD+ Task Force and Ministry of Forestry (now Ministry of Environment and Forestry). Daemeter is a leading independent consulting firm promoting sustainable development through responsible and equitable management of natural resources, particularly in Asia’s emerging economies. The team comprises advisors, technical experts and project managers and has been working throughout Indonesia collaborating with the Government and private sectors. The Faculty of Renewable Resources (FRNR) of the Kwame Nkrumah University of Science and Technology (KNUST) promotes the proper management of sustainable utilisation of forest, savannahs, wildlife, freshwater fisheries and watersheds through teaching, research and dissemination of information. The faculty has a broad range of expertise in remote sensing and GIS. The faculty is actively involved in collaborative research with agencies such as UNESCO, USAID, FAO, CIDA, and the World Bank. RMSC is the technical wing of the Forestry Commission of Ghana. The centre is made up of various experts of international repute in forestry, environmental conservation, natural resources management, biodiversity assessment and management among others. They have experience in working with many development agencies, and over the years has developed collaborative initiatives with forest fringe communities and other stakeholders in forest resource management so as to promote forest governance. Kenya Forest Service (KFS) is mandated to enhance development, conservation and management of Kenya’s forest resources base in all public forests, and assist County Governments to develop and manage forest resources on community and private lands for the equitable benefit of present and future generations. KFS has a fully equipped GIS lab managed by full MSc graduates in GIS and remote sensing. It is comprised of a team of remote sensing experts, GIS officers and geodatabase managers.